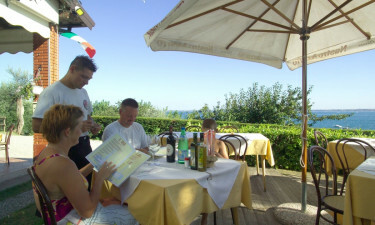 Experience luxury camping at its finest by choosing Fontanelle for your next Italian getaway. While this campsite offers guests stunning views of Lake Garda, it also stretched along a 450 metre strip of sandy beach. Book with LuxCamp now. Lake Garda is famous for its stunning natural beauty and people who stay in a spacious mobile home at Fontanelle will be greeted by the site of this impressive body of water each morning. 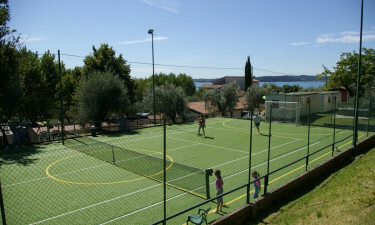 Guests are also invited to take part in the sports tournaments that are organised by staff. There are two swimming pools for guests to make use of and the main pool is the perfect place to swim laps and take part in aqua aerobics classes. 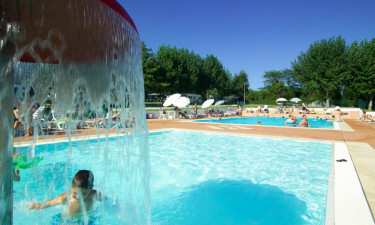 The little ones will be able to have fun splashing around in the adjoining wading pool. 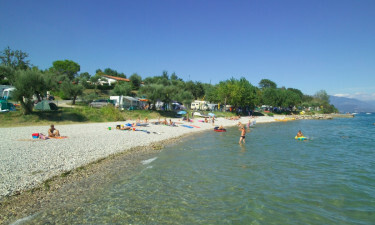 Guests at Fontanelle are sure to want to spend much of their camping holiday simply soaking up the sun on the beach that runs along the edge of Lake Garda. People who enjoy messing about on the water can hire a boat so that they can experience the intense natural beauty of the area in a whole new way or try their hand at fishing.